Developed by Ernst & Young for UDIA Victoria, the Residential Development Index measures Victoria's residential housing activity and provides an overview of how the Victorian residential development sector is performing compared to recent and longer term history. Building approvals for new homes remain at historical highs with activity over the nine months to March 2017. Despite record levels of activity UDIA Victoria warned that the volume of dwelling commencements in the years to come will not be enough to sustain the high levels of demand for new housing. According to the index, Victoria is facing a significant demand/supply gap with respect to housing across Victoria, with net additional supply and demand forecast showing clearly that demand will outnumber supply by over 4,000 dwellings in the immediate future. “The supply of new housing being delivered right now is being driven by high population and employment growth," UDIA Victoria Chief Executive Danni Addison said. 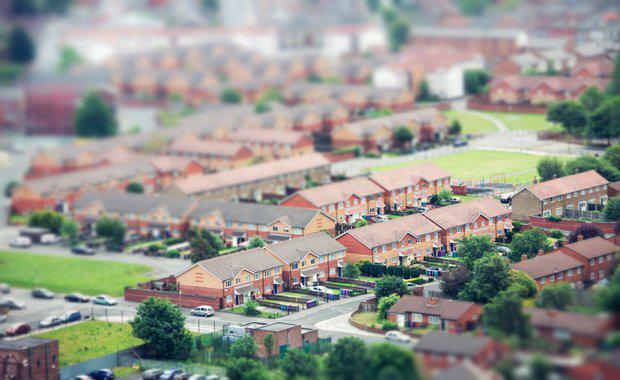 "This growth is positive and has supported strong levels of activity from the sector as it delivers new housing which has progressed through the planning, approval and funding pipeline in recent years. “However, the forward pipeline for the years to come tells a very different story, and the RDI points to a serious housing undersupply," she said. Demand driven by population growth has increased by around 14% from a need for 56,956 dwellings in 2014-15 to 65,143 new dwellings in 2016-17. Addison said that would be cause for major concern both from an affordability, liveability and economic perspective, as Victoria’s population is projected to increase continually in the coming years. “The residential development industry in Victoria faces a number of challenges including an unclear future urban renewal pipeline, a series of recent policy changes such as increased taxes on foreign purchasers and the removal of incentives for investors - as well as production capacity challenges for new housing in Melbourne’s growth corridors," Addison said. “These issues will undermine the affordability and supply of new housing across all market segments if they are not urgently addressed. "The RDI makes its determination on the strength of the market by examining the dynamics impacting the industry, including economic conditions, population growth, development activity, trend data, regulatory changes and policy implications. Using a weighted average model of three key inputs, the index considered purchasing power and demand and supply of new housing to establish an index. Based on historical data, an index of above 106 depicts a strong market. In June 2016, the RDI moderated at 112.0; down from 112.1 in June 2015. However it is still at historical highs and above the ten year average of 106.2. Utilising forecasted input data for June 2017, the index is expected to remain historically strong at around 112.0. 1. The volume of dwelling commencements experienced in FY2015-16, FY2016-17 year to date and FY2017-18 will not be adequate to meet current population and household growth. Victoria is looking at a significant demand/supply gap with respect to housing across the state. Calculated estimates of net additional supply and demand for dwellings in Victoria show that demand will outnumber supply by 4,027 dwellings throughout FY2016-17. 2. The pipeline of lot sales needs to be maintained in all growth corridors to ensure buyer preferences are met across different sub-markets. 3. Policy must ensure that a 15 year land supply program in the growth corridors is maintained for the sake of a competitive market. The attractiveness of these precincts for buyers would be enhanced by an acceleration in the expenditure of the Growth Areas Infrastructure Contribution fund which now is large enough to begin targeting infrastructure constraints.